Swimsuits, towels, and sportswear are recommended. Safety is always of the utmost importance to us! In case of bad weather or rough sea conditions, for the benefit of all passengers, we reserve the right to change the route or cancel the tour. This decision is made by the captain. In in the event of tour cancellation, you have the right to reschedule the tour for another day or receive a full refund. Pets are not allowed on the tour. The tour is subjected to weather conditions. Minimum age is 3 years. Meet your skipper and the group at our Gray Line office on Riva, city promenade. 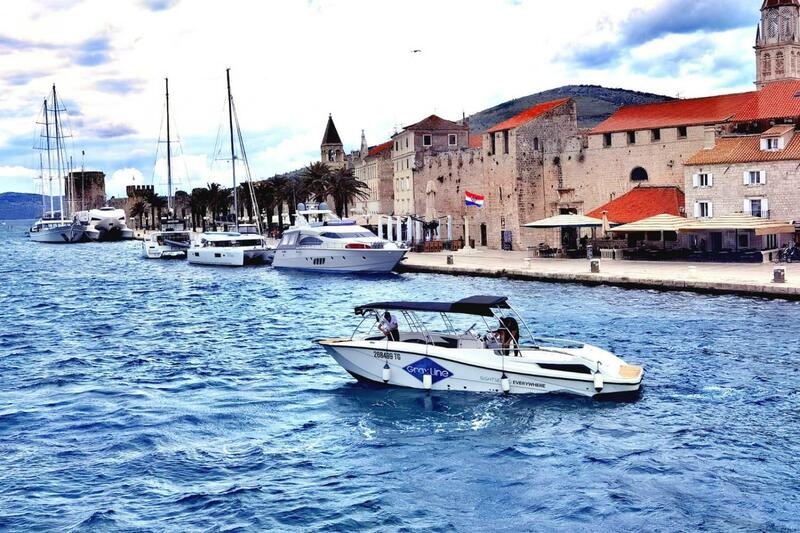 Our office is situated right next to Diocletian’s Palace entrance at the seafront (Brass Gate). 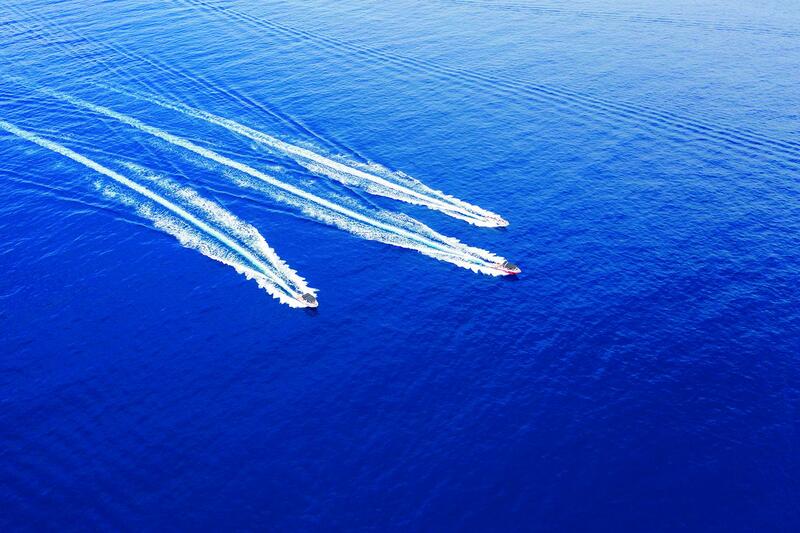 Hop on a speedboat and enjoy a 90-minute thrilling ride from Split to Biševo Island, whose highlight is the Blue Cave. 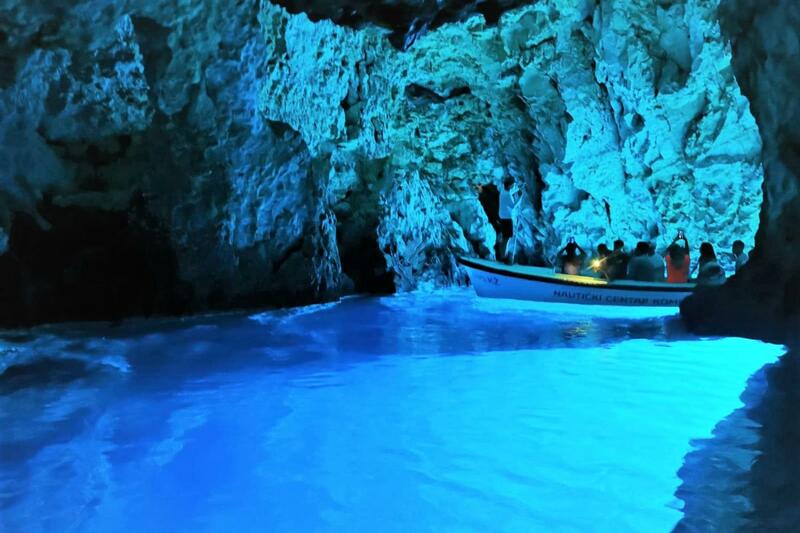 To help protect the natural environment, only official boats are allowed in the Blue Cave, so upon arrival, you will move to a smaller boat to enter the cave. With its silvery-blue color, created by light refraction of sunlight entering through a crack in the stone, it leaves nobody indifferent. 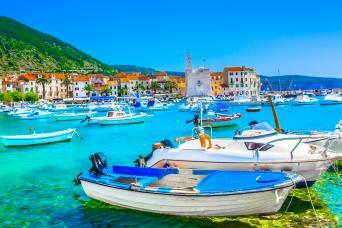 Later on visit Komiža, a typical Mediterranean fisherman place located on the western coast of the Island of Vis. Here you will enjoy in a full one hour of sightseeing as well as have a chance to enjoy a cup of coffee. 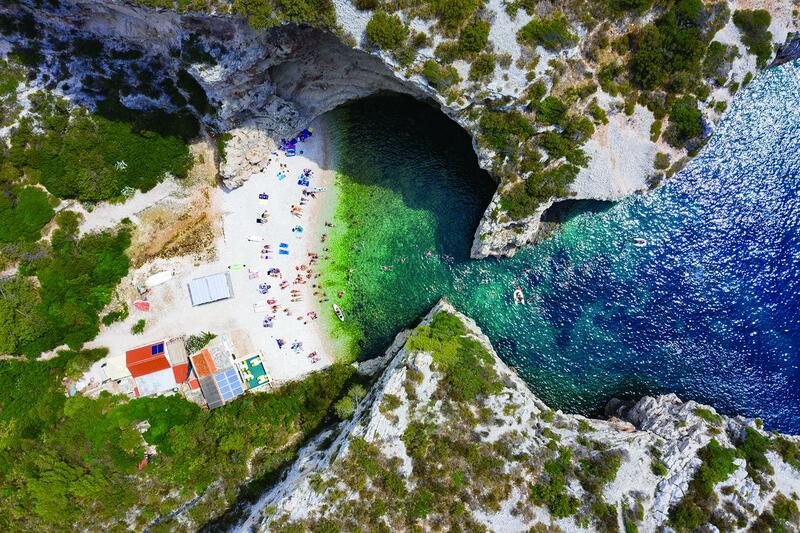 After Komiža, visit the impressive hidden Stiniva Bay. Stiniva was declared the most beautiful beach in Europe in 2015. It is very important to know that we can’t enter the Stiniva beach with our speedboat because the bay is under environmental protection. However, we will do sightseeing so you can admire the beauty of the pure nature of beautiful Stiniva bay. Since this is a very small and most of the time crowded beach, we will continue to do swimming in a much quieter place just 5 min from Stiniva (in the preseason and postseason swimming is possible). 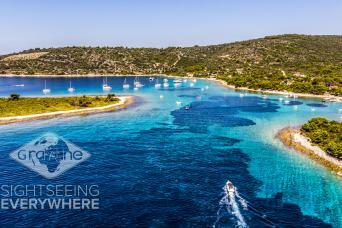 Our next destination is a small paradise on earth situated between 3 islets, Blue Lagoon on Budikovac island. 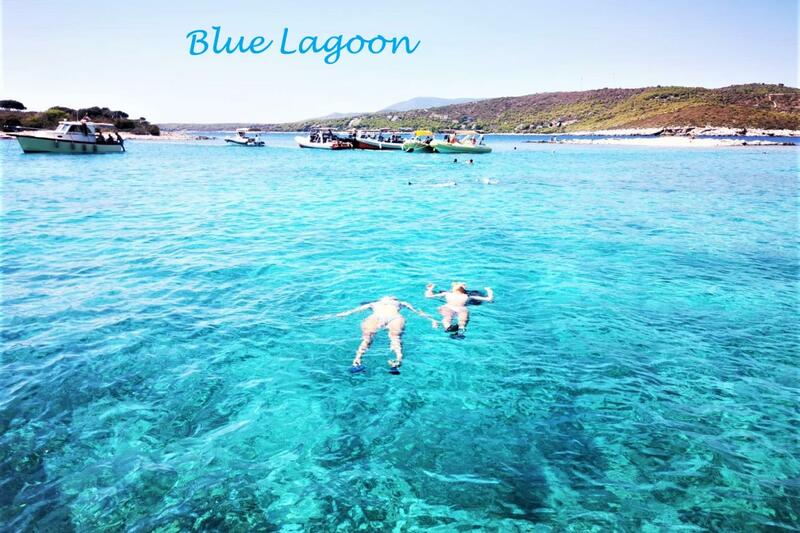 Blue Lagoon is a favorite destination for many of our guests on our Blue cave tour. Beautiful clear sea, beach and a small bar make this place a perfect place to take a swim or snorkel, laze on the beach, or stroll on the pretty island. Our crew will provide you with snorkeling equipment. The next location will leave you breathless - it is time for Pakleni islands. Pakleni islands are a group of small islands (approx. 20 of them) around the island of Hvar. Each one of them has beautiful beaches, blue lagoons and a lot of bars and restaurants. 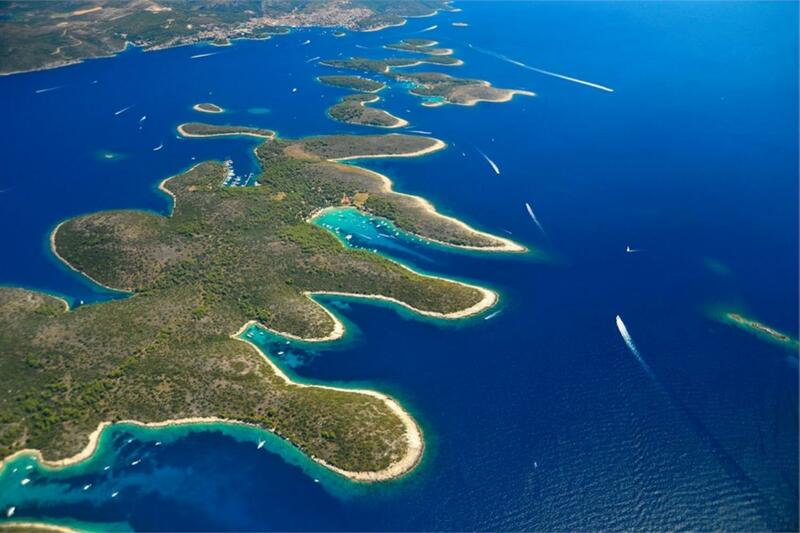 The most popular is Palmižana (more precisely, the Vinogradišće inlet) which is located on the Klement island. It is a sandy inlet in the shade of the old pines. There you have free time for lunch, swimming, snorkeling or exploring the island. 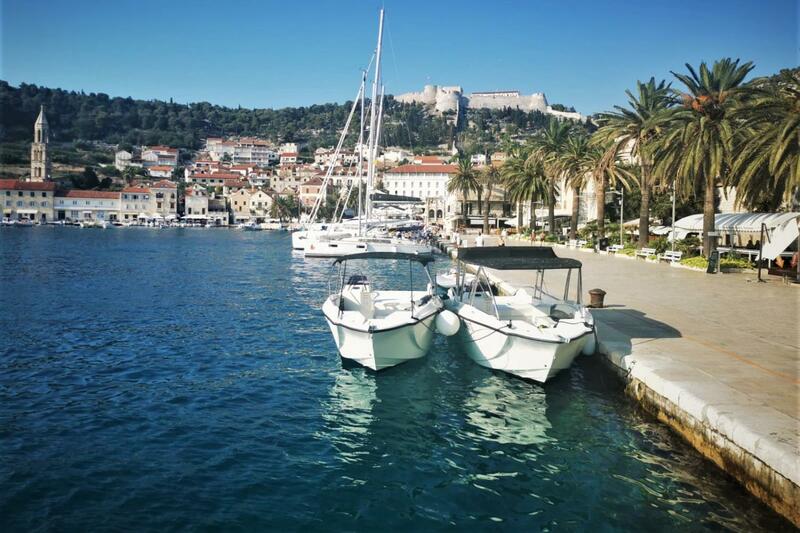 From Pakleni islands we are heading to the most famous island in Croatia, Hvar island, Dalmatia’s trendiest destination and an island with more than 2500 years of rich history. 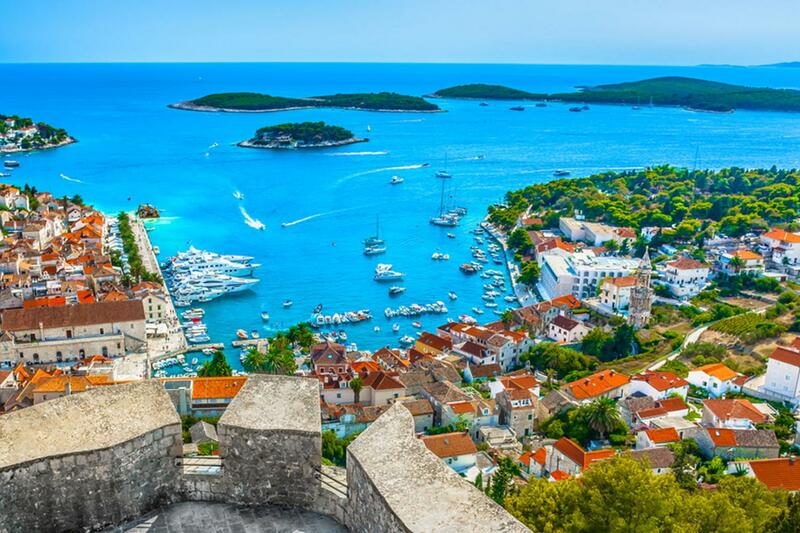 You will visit Hvar town and the things that make this town so special are historical – cultural heritage, a fortress on the top of the town (20 min to get up) with the best view of town Hvar, its sea surrounded, a lot of cool bars/restaurants and many more. You will have some free time to explore the town and get lost in the small narrow streets as locals do. 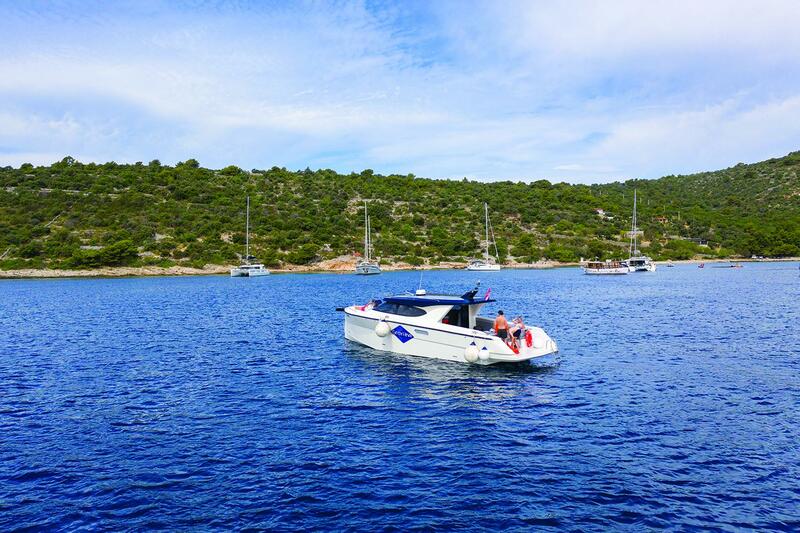 Hop on a speedboat, relax your body and mind, soak up the sun, let the wind play with your hair and enjoy the breathtaking beauty of the Adriatic sea while you cruise towards Split. [email protected] - 00385 91 140 0800 - Please provide a printed copy of your voucher at check-in. MEETING POINT in SPLIT at 07:00AM!